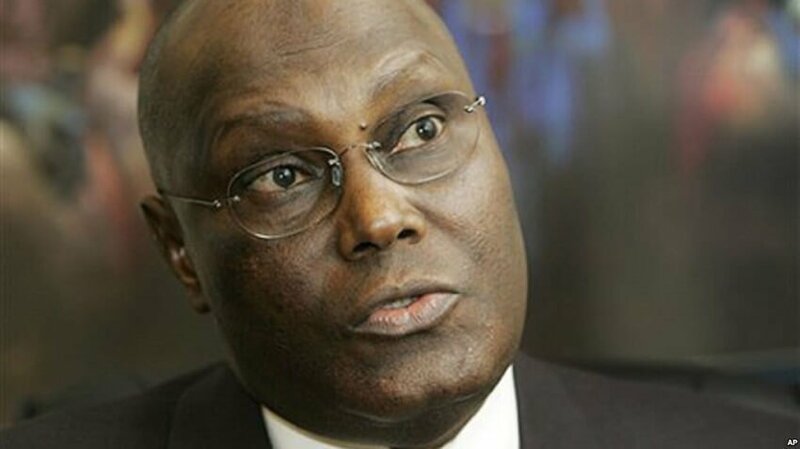 The Presidential candidate of the Peoples Democratic Party, PDP, Atiku Abubakar, on Saturday lambasted a National Leader of the All Progressives Congress, APC, Bola Tinubu, for insisting on supporting President Muhammadu Buhariâ€™s re-election bid in 2019. Abubakar, a former Vice President, warned that Tinubuâ€™s alleged â€œarrogance will fall off his eyesâ€ in 2019 because Nigerians will vote against Buhari. The Waziri of Adamawa, who made this remark through the spokesperson of his campaign organisation, Segun Sowunmi, said Nigerians wonâ€™t allow Tinubu deceive them in 2019. He continued, â€œIf Asiwaju Bola Tinubu means that his life is in jungle, we want to say to him that pride goes before a fall. Those who disdain men that are going to contend with them for the goodwill and votes of the Nigerian people with careless talk is what we find even with Buhari. fall-off his eyes like a scale when the votes are counted in 2019.
â€œLet him just understand that nobody is going to allow them run a chaotic, opaque and corruption-marred election. Let me also tell them that INEC will not help them. We shall all meet on the day of the election.